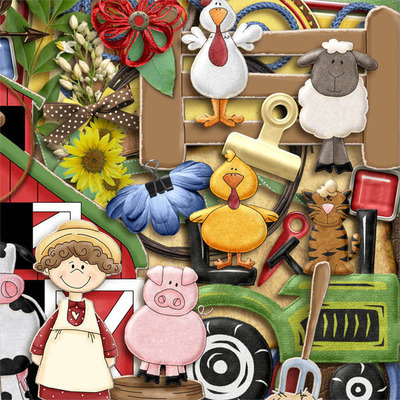 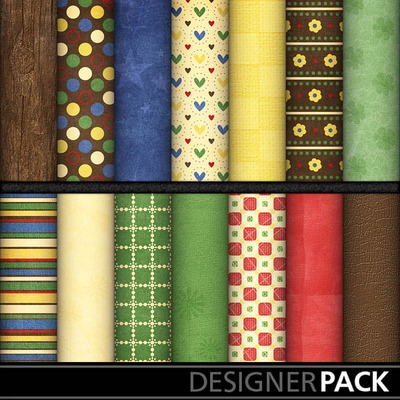 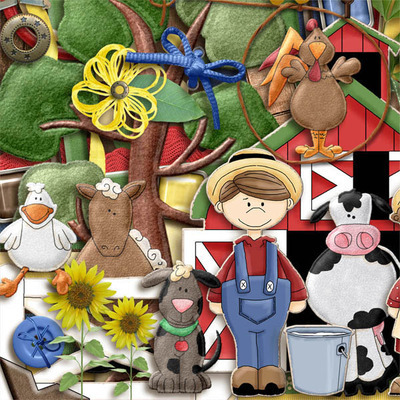 The background papers in this kit take me back to grandma's farm: a gorgeous blue sky, stacks of hay and fields of clover, the old wood barn and leather couches, and the ever present checkered tablecloth. 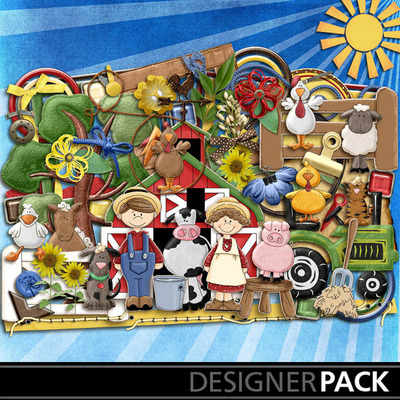 Add in the fun felt and wood elements, and this full-sized kit gives you lots of possibilities! 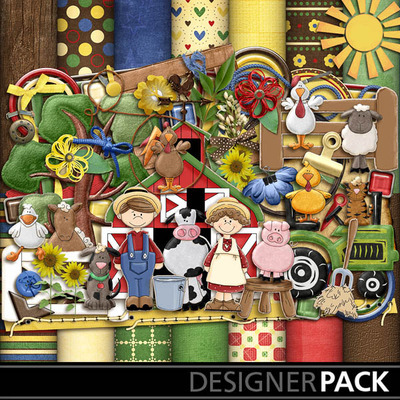 This is also available in a bundled package with the add-on pack for a better deal.